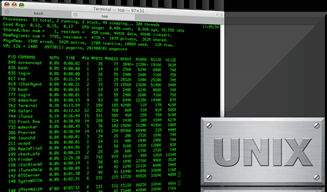 Our Traditional Unix Shell service provides a command line interface to our powerful timeshare Unix Systems. Access is available via Telnet or Encrypted [SSH] Connection, and File Transfers to and from the Unix system is available through Encrypted FTP. This type of account requires a working knowledge of at least one Unix Command Shell. We offer several command shells including the Bell Labs Bourne Shell [sh], the GNU Bourne-Again Shell [bash]. the Public Domain KORN shell [pdksh] and the Berkeley BSD Shell [csh] ... among others.